Obituary for Marcella A. 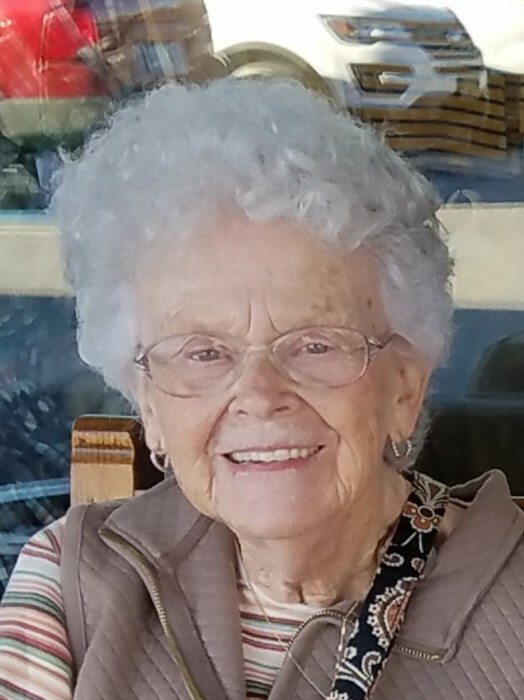 (McAdams) Miller | Jobe Funeral Home & Crematory, Inc.
Marcella A. Miller, 87, of Harrison City, went to be with her Lord on Thurs., April 11, 2019. She was born on September 26, 1931 in Greensburg, to the late Daniel and Thelma (Radbaugh) McAdams. Marcy was a member of Jeannette Assembly of God. She was very mission-minded and a large part of her life in the '90s were mission trips to Colombia, Ecuador, Canary Islands, and Jamaica, with her husband Jerry. She loved traveling, camping, and decorating her home. Marcy is survived by her beloved husband of 66 years, Gerald W. Miller, Sr,; loving children, Gerald W. (Janice) Miller, Jr., Randy Scott (Karen L.) Miller, and Pamela S. (Donald W.) Busan; and 6 grandchildren, Cheryl L. (Justin) Miklos, Scott A. (Jaime) Miller, Lisa Ann Miller, Nicole M. Miller, Christina M. Miller, and Amanda S. (Valerie Sabo) Busan; 9 great-grandchildren, Hailey Marie and Emily J. Miklos, Ethan, Dylan, and Jaelyn Shepler, Zander and Caleb Miller, and Paige R. and Aubree M. Busan; and numerous nieces and nephews. Friends will be received Sunday April 14 from 2-4 & 6-8 PM at Lindsay-Jobe Funeral Home, Inc., 3343 Route 130, Harrison City, 724-744-2721, where the funeral service will be held Monday, April 15 at 11:00 AM. Interment will follow in Westmoreland Co. Memorial Park. Memorial contributions may be made, if desired, to support missions at Jeannette Assembly of God, 246 Pleasant Valley Road, Jeannette, PA 15644. Online condolences can be given at www.Lindsay-JobeFuneralHome.com.